From a poster template Non - Final of Nokia, Someone who does not want his name mentioned has sent a picture that contains leaks and is claimed as new Nokia handset image. That there was seen writing Windows Phone 8. This confirms that Microsoft intends to name OS mobile. 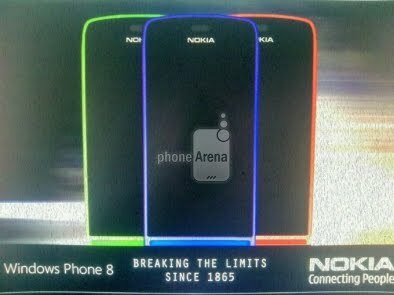 There is also an estimate that Nokia will release a new handset and the best OS from Redmond. Leaked picture is still keeping the question, where there is a slogan "Breaking the limits since 1865", whether the leak is fake or original image, it still needs further confirmation of this picture leaks.